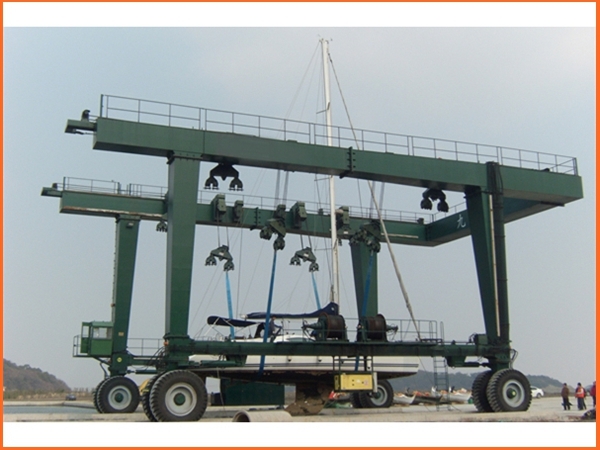 Sailboat Hoist Manufacturer Provides Cheap Travel Lift High Quality Travel Lift Customized Travel Lift For Sale! 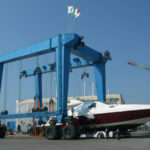 Sailboat hoist is a necessary machine for lifting boat. 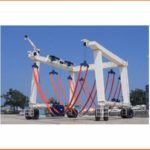 This kind of travel lift is mainly used for lifting vessel from water, putting vessel into water or maintain vessel on the land. Marine boat hoist has many advantages, such as compact structure, easy maintenance, fast installation, safe operation, durable material. 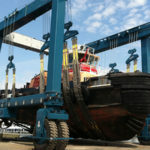 It is a cost-effective choice for lifting industrial! Ellsen Group, a professional and reliable marine travel lift supplier, sales great mobile boat hoists for sale! Ellsen provides perfect service for customers! Clients can choose the most suitable type according to specifications. 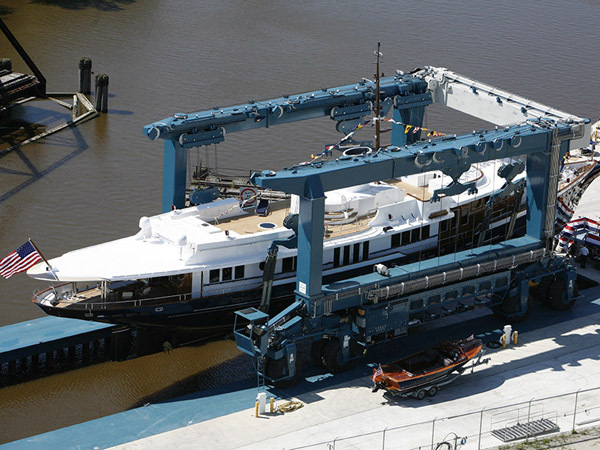 For loading capacity, Ellsen provides high lift capacity travel lift, small boat hoist. For application place, it includes water sport meetings, aquatic clubs, voyages and seaport. 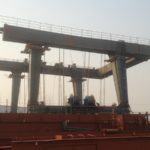 For lifting tons, it has 10 ton travel lift, 60 ton boat hoist, 100 ton boat hoist for sale, 500 ton mobile boat lift gantry crane, 1000 ton marine travel lift. According to different conditions, customers can choose suitable travel lift for work! Top quality, reasonable price! Ellsen travel lift is an affordable choice! 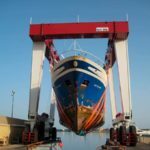 For convenience, marine boat hoist has terse structure, thus it is easy to install, simple to maintain and fast to repair. For cost, Ellsen provides sailboat hoist with low price! Customers can purchase great travel lift with ideal price! Low price doesn’t mean bad quality, Ellsen marine boat hoists have won high praise because of high quality! 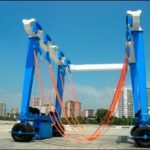 For safety, Ellsen sailboat hoist has complete safety protection devices, such as overload protection devices, emergency stop device, over-speed protection device, anti-water and anti-corrosion painting and material. For operation, sailboat is very easy to operate. It has light weight, it can move smoothly and easily. 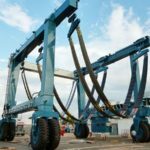 The lifting points can work together when the machine is lifting vessel. In this way, boat hoist can increase efficiency and save much energy.